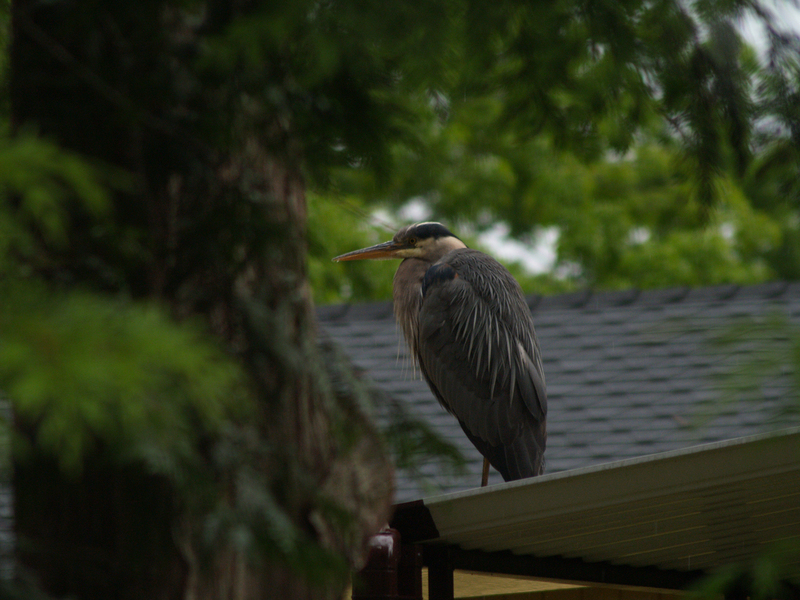 This morning, on the neighbor’s roof. 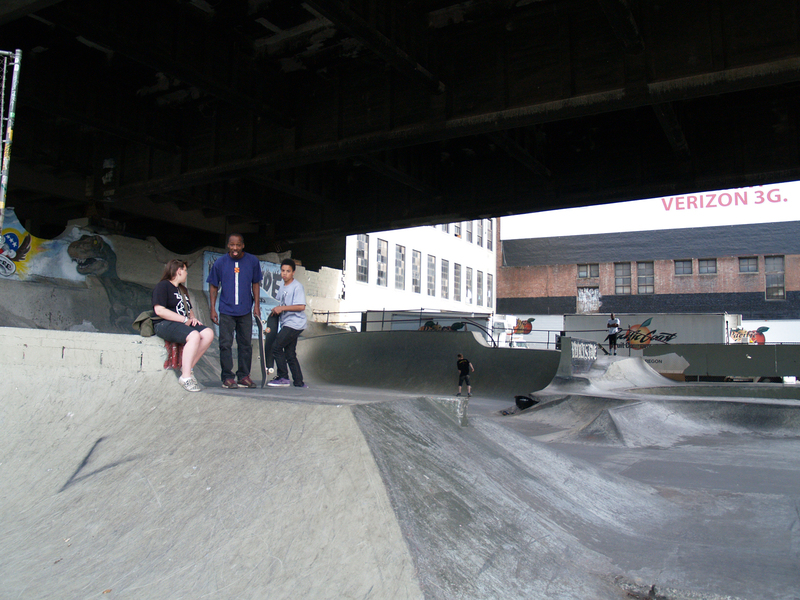 Yesterday, wandering around downtown, I decided to take some pictures of the Skate Park under the Burnside Bridge. It’s supposedly a world class skate park and one of the best around. I was primarily interested in the graffiti as the quality seems to be a couple of notches above the norm around the rest of the city. After taking several pictures, this gentlemen comes by and says “Two things, you can’t stand there, and you can’t take pictures with out permission.” I stepped back off the actual park itself, even though I was only two feet away from some other people and continued to line up my picture. At which point I accidentally snapped this picture (seriously, the trigger button slipped!) and then began walking away. After going through the photos I found this such a compelling picture. He’s threatening, but no one else around seemed to care much. So, on the off chance that I do end up with my camera broken in my face, this is the guy that did it.